Go to myer.com.au/careers to lead yourself to the Myer careers page. 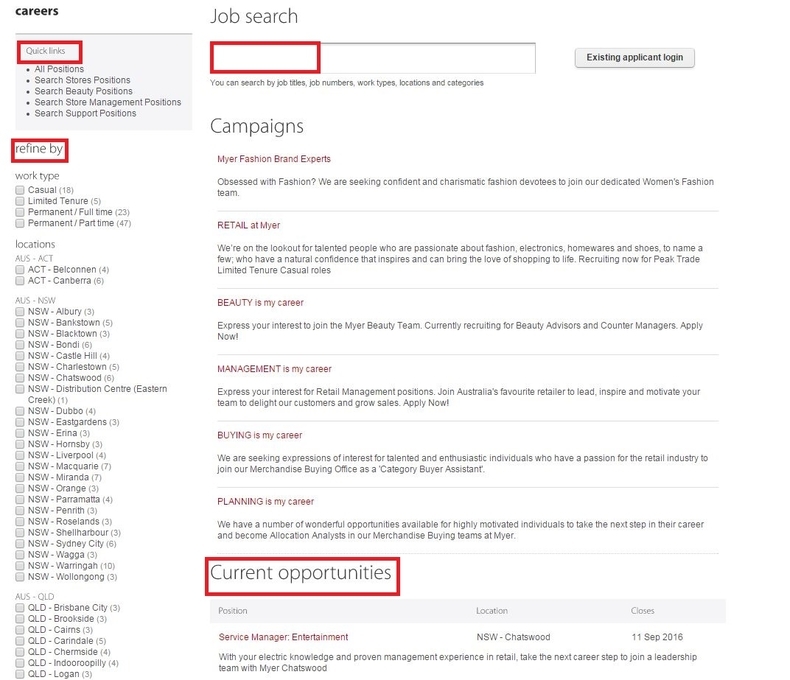 You can search by job titles, job numbers, work types, locations and categories in the search box or using the quick links or refining conditions on the left side of the page to find your ideal job in Myer. 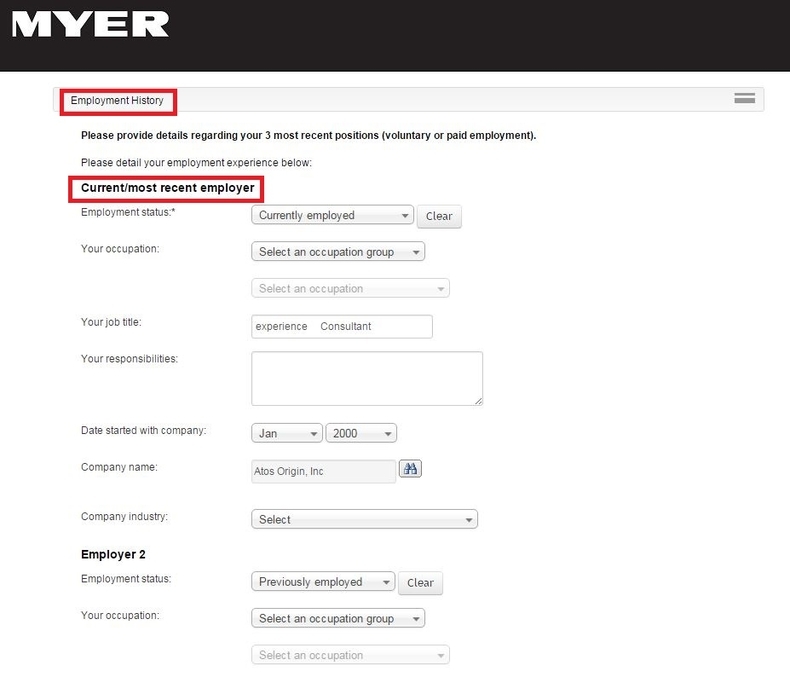 After the last step, you will certainly find the exact job matching your keywords or filter conditions. 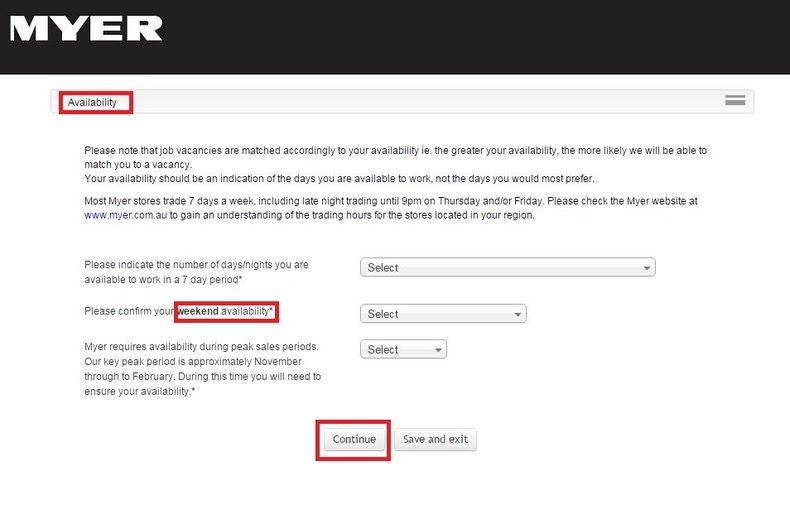 In the second step, you just need to read the job requirements, residency note and application close date and then click "Apply now" at the bottom of the page if you have no problems with all listed above. 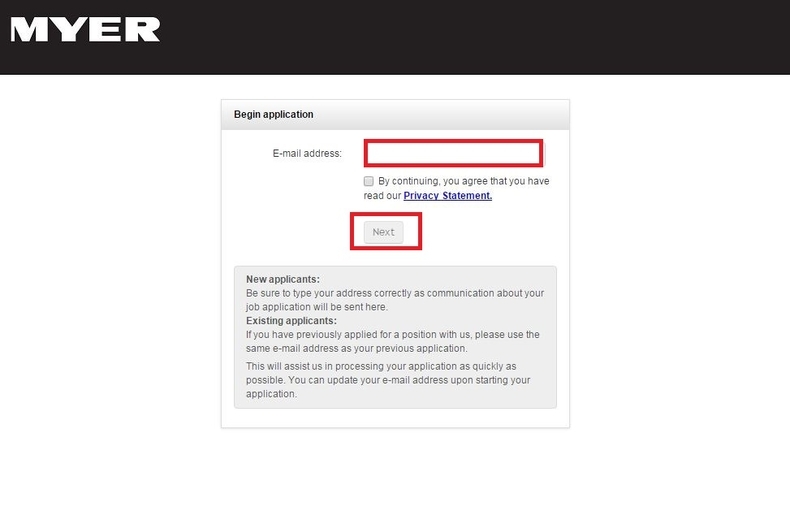 In this step, you're asked to provide your email address to start the application process. If you are a new applicant. Type your address correctly as inform about your job application will be sent here. 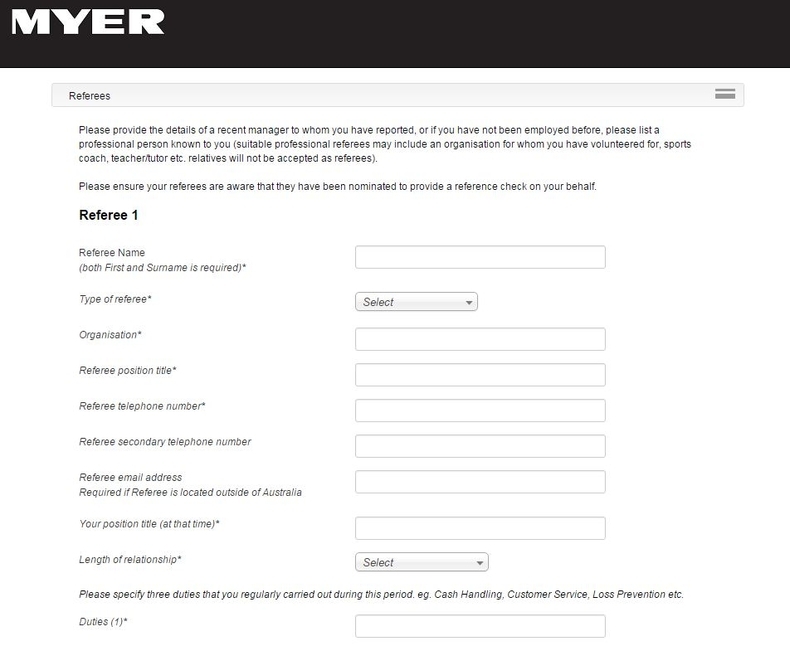 If you are an existing applicant which means if you have previously applied for a position with Myer, please use the same e-mail address as your previous application, which will assist Myer in processing your application as quickly as possible. You can update your e-mail address upon starting your application. 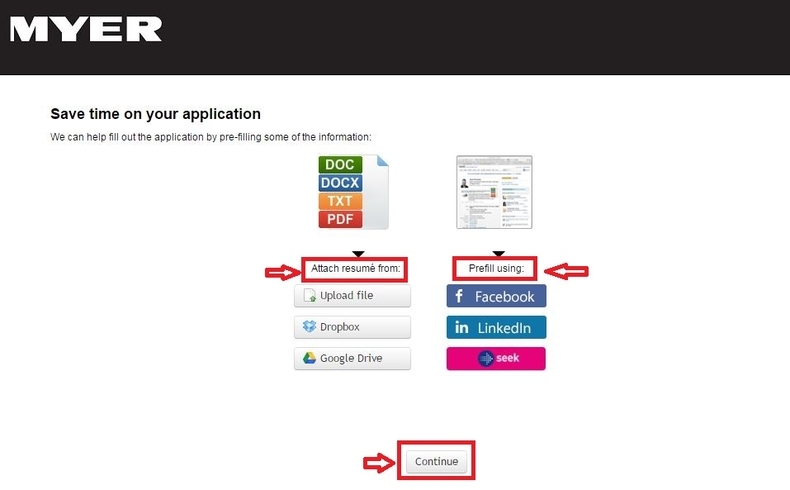 Upload your resume from you computer, Dropbox or Google Drive or you can just prefill your information by importing profile from your Facebook, LinkedIn or Seek, after which you press the "Continue" button and then fill out some personal details to go on with the application process. Answer the question: "Are you currently eligible to work in Australia or New Zealand?" by selecting from the three options: "Permanent resident or citizen", "Current work permit/visa" and "No" and another question: "Are you an Aboriginal or Torres Strait Islander?" to continue with the process. Indicate your availability in this step. Availability is the indication of the days you are available to work. Please note that job vacancies are matched accordingly to your availability. Generally, most Myer stores trade 7 days a week, including late night trading until 9pm on Thursday and/or Friday or you can check the Myer website at myer.com.au to gain the trading hours for the stores located in your region. 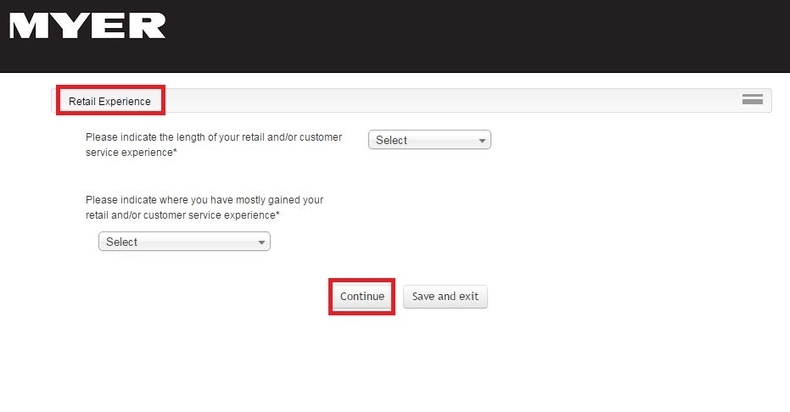 Indicate your tetail experience by selecting the length of your retail and/or customer service experience and where you have mostly gained your retail and/or customer service experience. 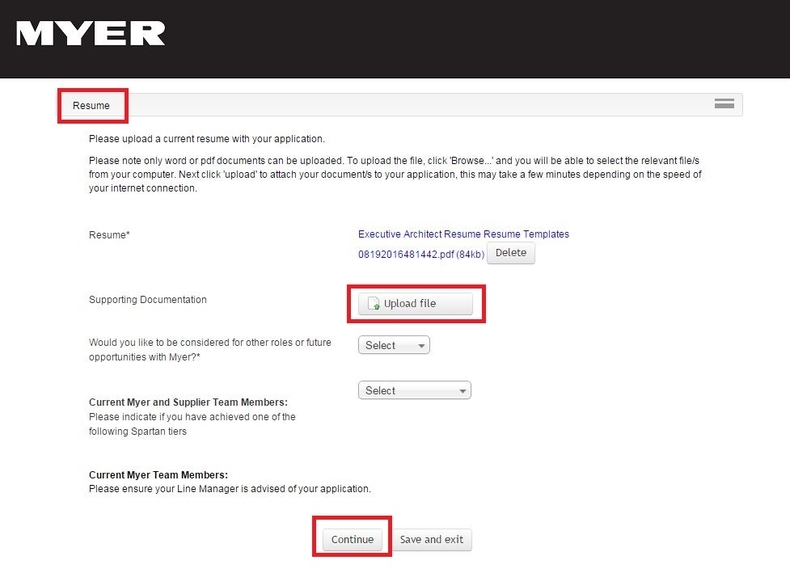 Provide details regarding your three most recent positions (voluntary or paid employment) and click the "Continue" button to the next step to answer some questions regarding your reasons for working at Mayer and skills you'd like to share with Myer, etc. Provide the details of your referees like a recent manager or a professional person known to you (suitable professional referees may include an organisation for whom you have volunteered for, sports coach, teacher/tutor etc. relatives will not be accepted as referees). Make sure that your referees are aware that they have been nominated to provide a reference check on your behalf. Afterwards, you need to specify three duties that you regularly carried out during this period. 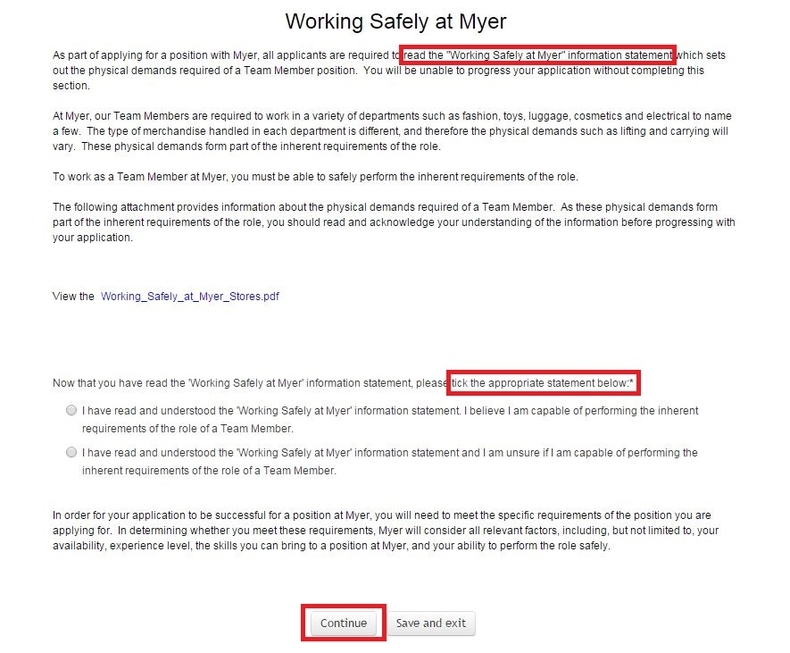 In this step, you're supposed to read the "Working Safely at Myer" information statement and tick the appropriate statement after you get full picture of the statement. Upload a current resume for your application. Please note that only word or pdf documents can be uploaded. To upload the file, click 'Browse...' and you will be able to select the relevant file/s from your computer. 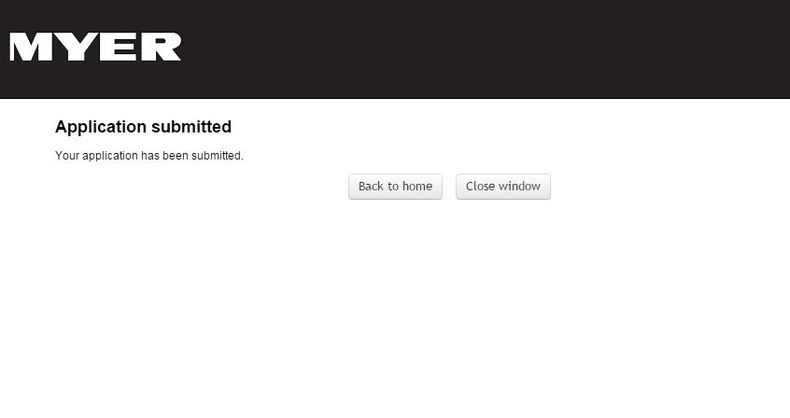 Next click "upload" to attach your document/s to your application,which may take a few minutes depending on the speed of your internet connection. Submit your application and you'll be led to the the page shown as below to show your status of application. You can click “Back to home" to your personal profile and make some changes of some details or you can just close the window to finish the whole process. 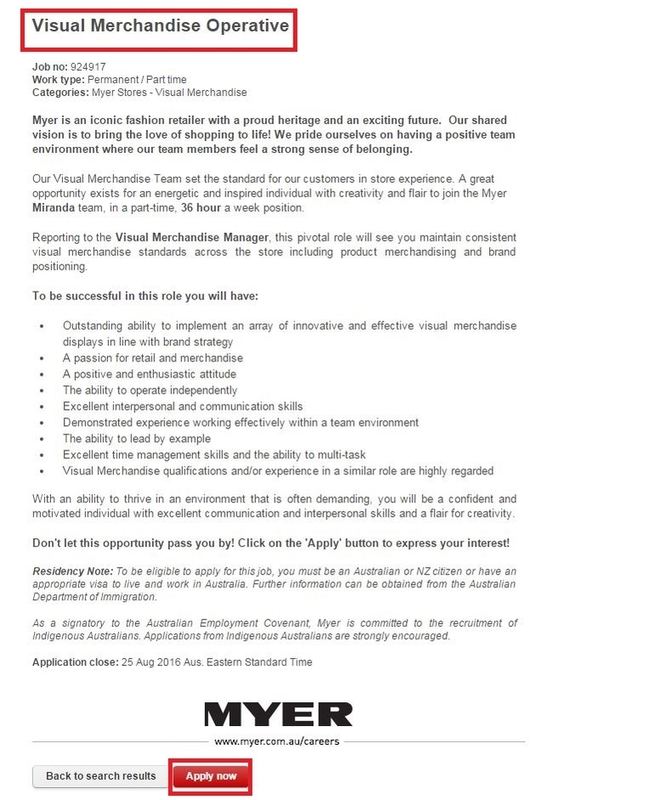 Click myer.com.au/careers to apply for Myer jobs online.